I have been thinking about a few things that are common on many new bikes these days that I really don’t like. I would love to hear everyone’s pet peeves on current trends. I’ll start this flamefest. Disc brakes, just the aesthetics. -Tubeless tires. Feel like I am riding a 2x4! -Unnecessary features in computers with the endless beeping. Maps, metrics, and a way to save them. That's it!! -Overly complicated and filled with brand logo frames colors. 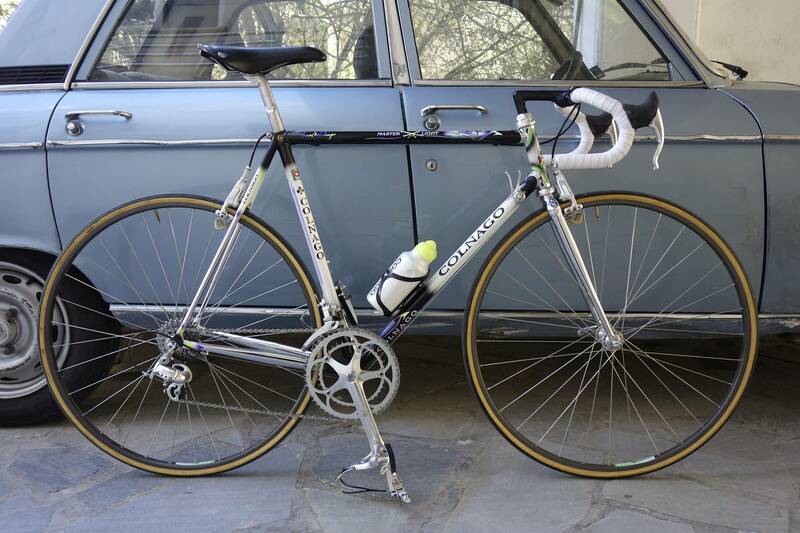 Colnago is a prime example. Love mine, but can't stand 99% of their paint job! -So many powermeters, yet almost each limits you to a part, pedal type, crank, wheel, etc. Unnecesarry complication! -Aero everything. 99% of us will never get any benefit from it in 3 lifetimes!! Unnecessary complication! -Bikes have not gotten lighter despite serious improvements in manufacturing and materials that would say the contrary should be the trend!! Last edited by dgasmd on Mon Apr 15, 2019 2:13 pm, edited 1 time in total. The constant rim/disc brake and aero/lightweight debate on every single thread about anything. Most touring bikes that actually made by the big three from Asia and claimed how good they are. Last edited by PrinceEdward on Mon Apr 15, 2019 2:15 pm, edited 1 time in total. -Having to refill tubeless tires with sealant. -That I have to train to be/stay semi-fast. -Work/life preventing me riding more. -socks that are too high (mid calf), and the Instagramization of cycling in general. -track bikes outside of a velodrome. Add black shoes to that!! It is like watching old people wear knee high dress socks with rubber sandals at disney!! -Proprietary/integrated parts. A bike should be as simple as possible. -Disc brakes. A bike should be as simple as possible. -Suspensions on road bikes. A bike should be as simple as possible. -Electronic groupsets. A bike should be as simple as possible. -Fatter >27mm tires. A road bike should be ridden on paved roads. -1x groupsets. A road bike should be as effective as possible. - Overpriced frames-parts. Mass made in China medium quality stuff that cost a fortune. - Super sloping top tubes. A road bike should look like one. - Heavy road bikes. Anything weighting more than 7,5kg should not be considered a a serious road racing machine IMHO. Are we still ww or not? Fixed your first sentence for you. "A bike should be as simple as possible" is in direct conflict with "A road bike should be as effective as possible"
But I'm not here to convince you to change your opinion. I think it's great we all have different ones. Otherwise every bike would be identical and boring. No, no it isn't. It's the essence of building anything for racing. Being effective doesn't mean it isn't simple. And vise versa. Shimano 9070: Things you wish the manual had mentioned, more clearly?